So it’s been a long time since I read Witch Song and felt so good to get absorbed back into the world that Amber Argyle has created. When I started reading Witch Fall I had that, oh I remember why I like this author so much feelings. I love Lilette. She is a mixture of innocence and roughness. She’s seen lots of hardship but she has also been lost to the world of witches for so long that she is no longer accustomed to them. It felt she was always on this learning curve from when she was being forced into marriage multiple times to when she escaped and joined her people. My heart broke for her over and over again. This girl just couldn’t seem to catch a break with the exception of Han. Han is flawed and perfect at the same time. He was so loyal to Lilette even though he knew it might only end in tragedy. He saw how important that just a few special moments could be and he wasn’t going to waste them. This story has such great world building. Not just in this book but the whole series, I’ve always been able to image the places they are in my head. I also really liked how Amber infused Asia into Harshen society. I loved how she depicted the palace, the city and everything in between like the detail of their clothing. I’ve always wanted to visit Haven and being able to see it in it’s heyday before all the destruction was pretty nice. 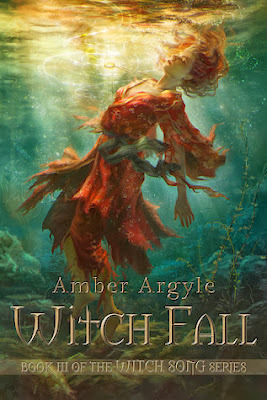 I think Amber Argyle is a great story teller that is not afraid to take the tragic route. There was so much in this book that pulled at your heart strings. Things that made you want to beat the crap out of people. I love books that fire up my emotions like that. Even if there were parts that made my heart break. It only made sense for the story and this is a prequel to Witch’s Song so you know that things had to go awry at some point. I though the way that the chapters were done were pretty cool too. There was an excerpt from Jolin's biography at the start of each chapter. Just a small one but it really added to the overall feel of the story. This is such a great depiction of witches. 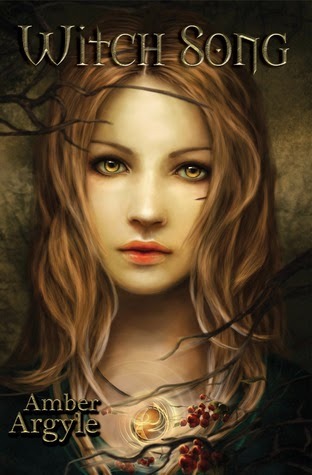 I love when books connect witches to nature and the elements because that’s more how I myself picture them. I also love the added effect that their power lies in their singing instead of waving a hand or magic wand. It’s a unique take on them. I am a fan of the series and this book only enhanced and I was really happy to get this look at events before Brusenna comes into play. If you haven’t read Witch Song I highly recommend that you do and if you already have, well there are certain things that you will recognize and think it’s cool to get the history. So yes read this, love it and enjoy. I'm so glad you enjoyed it, Jen!